This Magical Mickey Mouse Glitter Ornament is the perfect DIY project for your Disney-inspired Christmas tree. It’s the most magical time of the year! Today, I am once again channeling my love for all things glitter ! If you recall, I created a really cool Mickey Mouse Glitter pumpkin for Halloween. 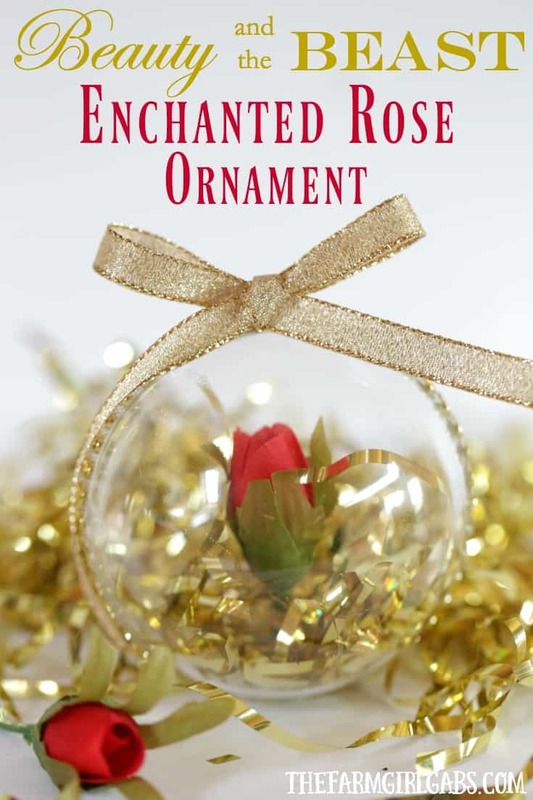 Soooo…..since it loved how it turned out, I decided to share an easy DIY tutorial on how to create your own Mickey Mouse Glitter Ornament for your Christmas tree. 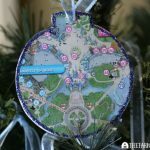 As I said many times before, I always have a little dash of Disney in my holiday decor. This Mickey Mouse Glitter Ornament is a perfect addition to my Disney Christmas Tree. 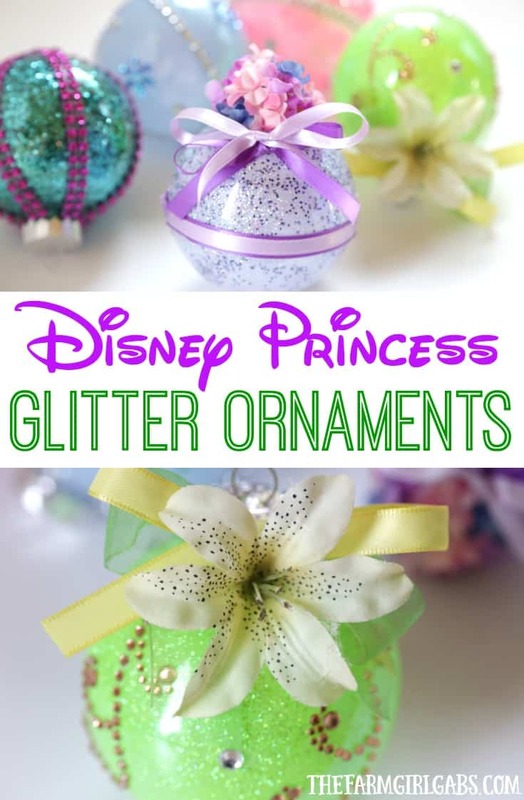 This Mickey Mouse Glitter Ornament is a pretty simple project that only involves a few items. Glitter is the star of this project so be prepared to have glitter in your hair, face and all over your workspace. At least I did because I am also pretty messy with it comes to working with glitter. First rule of crafting with glitter is to cover your work area really good. Use a rubber band to section off the ornament. Position the rubber band about 2/3 of the way towards the bottom of the ornament. 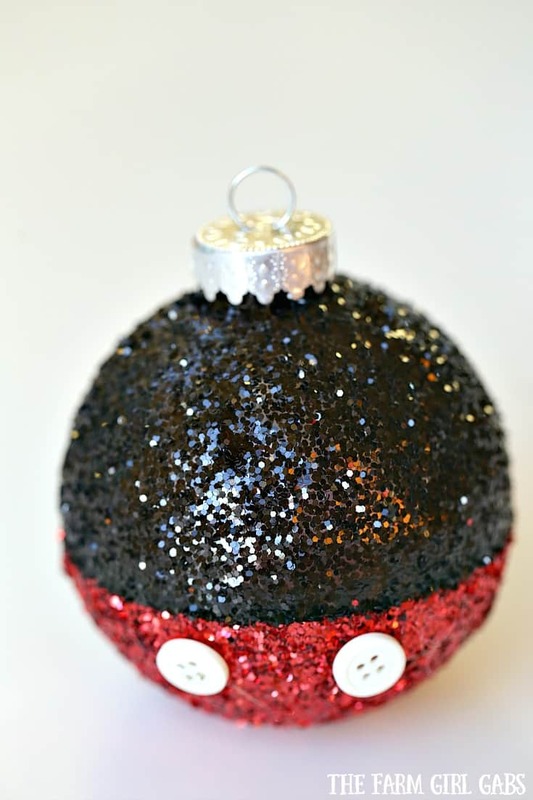 Turn the ornament upside down in a plastic cup and paint on a generous amount of the Mod Podge. Sprinkle red glitter all over the painted area. Allow to dry and repeat once more. When red section is dry, repeat the process for the top portion using black glitter. Once everything is dry, glue on Mickey’s buttons before hanging on your Christmas Tree.